Best day of the month is when Farmers Guide lands on the doormat! This is the best magazine I have ever had. Cancelled Farmers Weekly and Farmers Guardian.This magazine is well focused and positive in its approach to farming. Excellent reading. Please do not change anything in the Farmers Guide. It is perfect in every way. 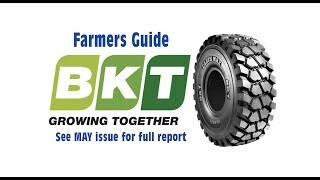 Farmers Guide is better for machinery than Farmers Weekly and Wrights Farming Register. This is the best farming magazine in the UK! Still the BEST farming magazine for the arable farmer and the one I most look forward to receiving. The Farmers Guide coverage is extremely comprehensive and diverse - plus it’s the right price! The best piece of mail to come through the post every month! I’ve bought and sold using Farmers Guide in the past. It makes for handy reading and always keeps me in the loop. Really, it tackles everything. I get a lot of farming magazines come through my door each month, but Farmers Guide is the best one. In fact, it’s the only one that ever gets read front to back! As soon as Farmers Guide comes through my door, it’s a must read. I’d say of all the magazines there are at the moment, it’s the most in touch with what is happening in the world of farming that there is. I always look forward to the joke too! Farmers Guide is a brilliant magazine. I’ve been receiving it for five years now and can’t do without it. The classified section is the best there is by far. Farmers Guide is a very good magazine. There’s such a good range of stuff in there, especially in the classified section, and the articles are always very well written. Farmers Guide is always on the ball and the first to every story. It makes excellent reading and I love the fact it is free! There’s something for everyone in Farmers Guide. It’s a very good magazine. There’s lots of colour and I always look forward to reading the joke! There’s no substitute for Farmers Guide. I used to get a lot of magazines, but I stopped the rest and this is the only one I get now. It’s the only one I get a response from when I place adverts in the classified section. Farmers Guide is great. It’s an enjoyable book that is right up there among the very best magazines around. It covers all aspects from buying to selling and is full of useful information. Farmers Guide really is one of the very best publications out there. I’ve now been receiving it four years and have always found the articles to be good. Whenever I advertise, I get a great response. I love the editorial in Farmers Guide, there are things that just don’t get covered by the other papers. I was one of the first readers to receive Farmers Guide, and I’ve treasured every single copy. It’s just brilliant. It’s the only place I’ll advertise, and I’ve never yet failed to sell something! Farmers Guide is one of the best books that come through. I buy and sell in it all the time, quite simply because I know I’ll always get a great response. I read it cover to cover. Farmers Guide is an excellent magazine. 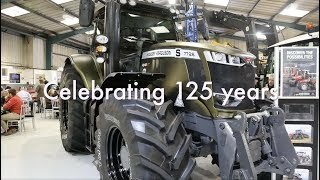 We find it very helpful and have bought a lot of machinery out of it down the years. I really enjoy reading the interviews with my fellow farmers. There’s also always lots of handy information on farming techniques and the classified section is excellent. It’s a lovely book! I love everything about Farmers Guide, you can’t fault it. I remember my late father and I used to fight over it when it came through the door to be the first to look through it! It’s spot on – the best magazine there is.